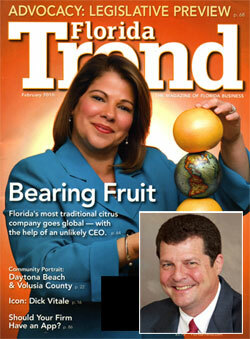 The February 2010 issue of Florida Trend, the Magazine of Florida Business, highlighted Daytona Beach and Volusia County with a Community Portrait. The portrait included "Who Lives Here", "Economic Life", and "Quality of Life". Jim Rose, Rice Rose Law attorney, was listed in the Economic Life, Must-Know Contacts portion of the article.